The year just ended was much better for auto dealers than for auto-sales statisticians. Midway through 2016, FCA changed its reporting methodology, which meant all its previous data became invalid. About the same time, Maserati began to publish its sales in Canada, but without initially providing year-ago figures for comparison. None of this, however, alters the truth behind the trends that defined the 2016 sales year. Total sales reached a record 1.95 million, missing the two-million mark that had seemed possible at midyear, but still a meaningful 2.8 per cent gain over the previous record for 2015. But that might be it for the records for a while. “We’ve had a long stream of consecutive records, and you can’t have records going on for-ever,” said Scotiabank senior economist and auto specialist Carlos Gomes. FCA’s unprecedented sales leadership title in 2015 remained intact even after its numbers were recalculated, but it was also a one-time wonder as Ford of Canada surged 9.3 per cent in 2016 and back into the overall market leadership. Somewhat disingenuously, Ford’s triumphant year-end sales release ignored its reclamation of the overall market leadership that it lost to FCA in 2015, emphasising instead that Ford was the top-selling brand for the eighth consecutive year. 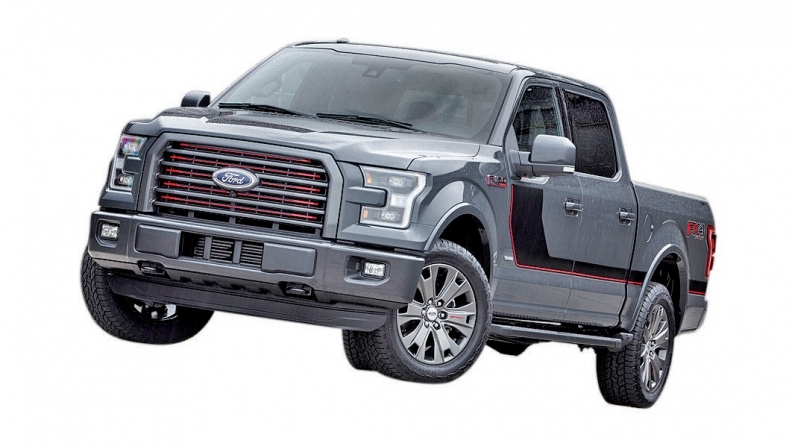 But Ford was arguably a one-truck pony in 2016. Its car sales fell 14 per cent; its second-best seller, the Ford Escape, dipped 2.2 per cent even while the compact-utility-vehicle segment it competes in grew six per cent. Bottom line, Ford Canada’s growth was almost entirely on the strength of the F series. The pickup’s 26,482-units sales spike corresponded closely to the number of vehicles by which the company’s total sales grew in 2016 (26,008). The F series surge also largely propelled a 7.1-per-cent growth in sales of all large pickups, which surpassed compact cars (down 8.1 per cent) to become the second-largest vehicle segment in the country; and as if to underline the effects of stable gas prices in 2016, the most-improved segment of all (in percentage terms) was large mainstream-brand SUVs, up 50 per cent. Even so, large SUVs remain a small market. Conversely, compact utility vehicles are now entrenched as the biggest category of all, with a 6.1-per cent gain to 475,000 units. Other segments that grew significantly faster than the overall market included intermediate and luxury SUVs and midsize pickups. Aside from compact cars, the steepest drops were posted by all the passenger-car categories except high-end sports and luxury cars which effectively trod water (though underperformed the market). With new truck nameplates debuting from Jaguar, Lamborghini and Bentley, light “trucks” grew their share of the overall market to 66 per cent, from 62 per cent a year earlier. A small pinch of salt is in order, though. For sales-reporting purposes “trucks” include many car-based utilities that bear little resemblance to conventional notions of a truck. For fuel-economy-testing purposes, the Mazda CX-3 and Infiniti QX30, for example, are classified as compact cars by the U.S. Environmetal Protection Agency (EPA) while the Nissan Juke and Mercedes-Benz GLA (directly related to the QX30) are classified as station wagons. But they all figure in the truck column of their respective makers’ sales reports. Another long-term trend slowed dramatically in 2016: Detroit’s share of the market was 43.6 per cent, barely less than its 43.9-per cent share in 2015. But GM Canada edging up 1.5 per cent while FCA fell 4.2 per cent still wasn’t enough to lift GM Canada out of third place. Mercedes-Benz three-peated as the leading luxury brand while Jaguar was pipped as the fastest-growing brand by Mercedes’ Smart brand, largely on the strength of internal sales to M-B’s Car2Go car-sharing program. Honda was the top-selling passenger-car brand. At the halfway point of the year, cumulative total Canadian sales were up 6.0 per cent, but five losing months in the second half ate into that lead and suggested that in the short term at least, the market may have peaked in 2016. “We’re expecting 2017 to be the second-best year ever,” said Scotiabank’s Gomes, “So we’re expecting a slight decline as we move into 2017. Gomes also cited changing demographics, as more boomers move into their 70s and out of the peak auto buying years.